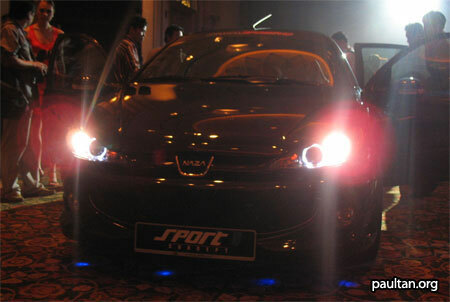 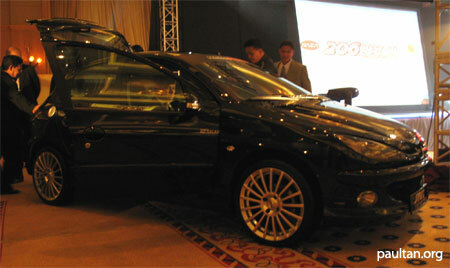 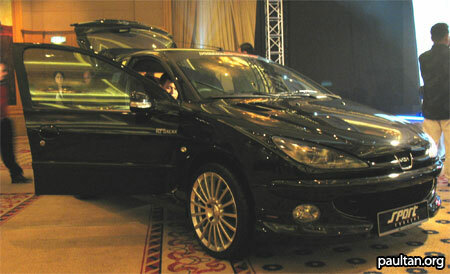 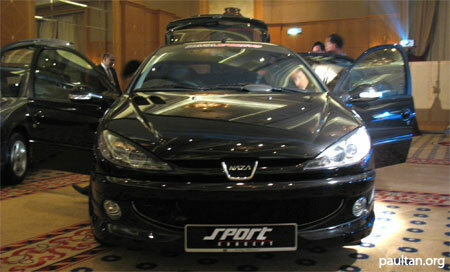 As with the Naza Sutera, Naza also showcased a Naza Sportivo version of the Naza 206 Bestari. 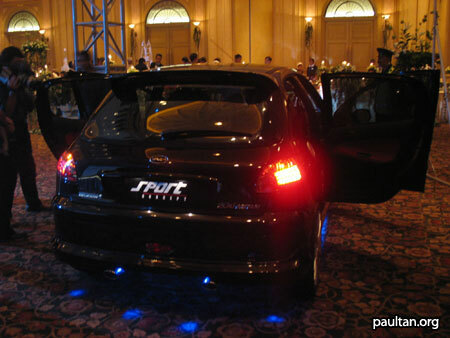 The car was painted a very nice black, fitted with huge multi-spoke rims, signal lamps on the wing mirrors, and a full bodykit. 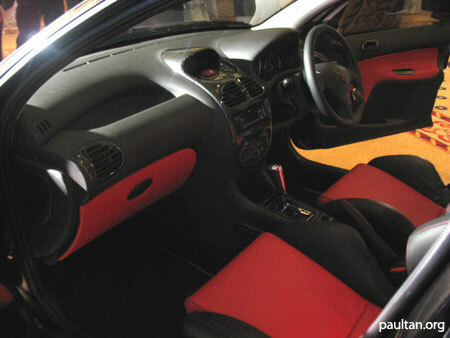 The interior had a red and black theme to it, and had similiarly colour coded Recaro buckets seats for the front and colour coded seats at the rear. 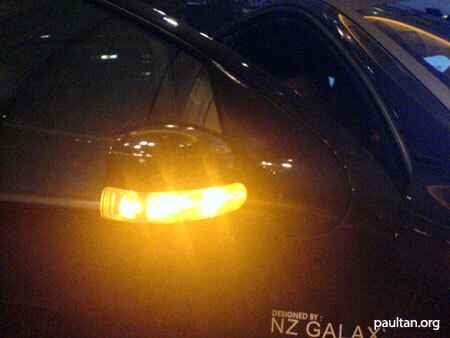 The center dashboard area looks like it had some carbon fibre trim. 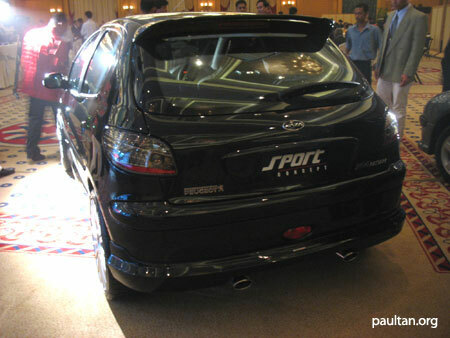 The rear lamps design was also different, and the car had twin exhaust tailpipes. 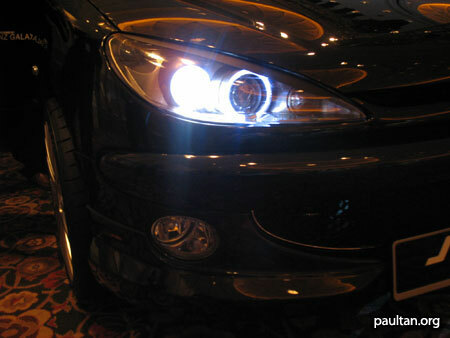 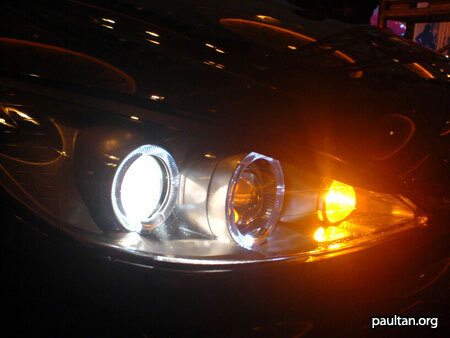 My favourite part of the car was the new headlamps, which had a design similiar to BMW’s angel eyes. 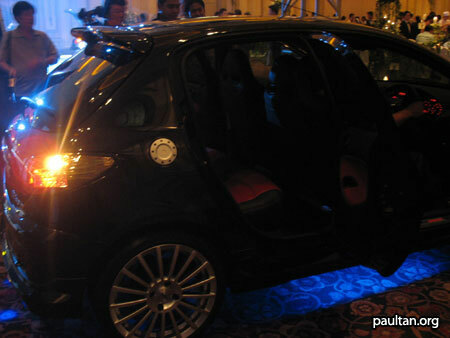 Check out more photos after the jump.